Mueller exclusive HYDRACINN fabric is the moisture wicking catalyst for maintaining superior support with heat management. Base sleeve is made of antimicrobial fabric that is uniquely breathable, extremely soft to the touch with flatlock seams, and features a conforming hourglass design. Mueller exclusive HYDRACINN fabric is the moisture wicking catalyst for maintaining superior support with heat management. Base sleeve is made of antimicrobial fabric that is uniquely breathable, extremely soft to the touch with flatlock seams, and features a conforming hourglass design. Inner grip strips complete the anti-sweat/non-slip design to help prevent brace migration and preserve high performance support. This ultimate brace provides maximum support for weak or unstable knees, as well as protection after injury. Patented Triaxial Hinges provide maximum protection with near-normal knee motion. 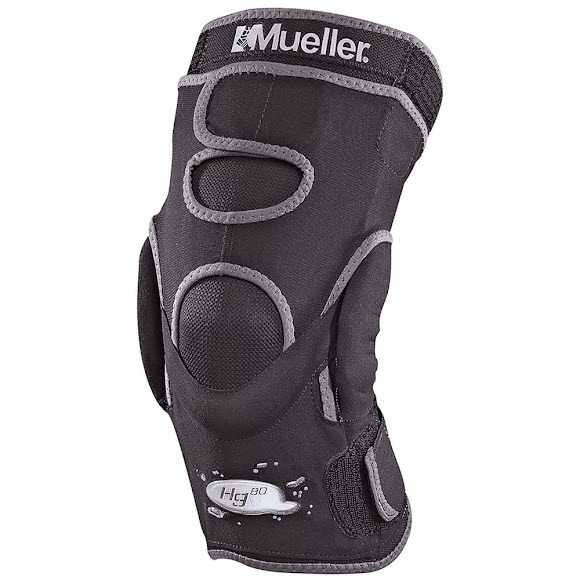 Mueller exclusive HYDRACINN fabric is a revolutionary moisture wicking and neoprene free material.